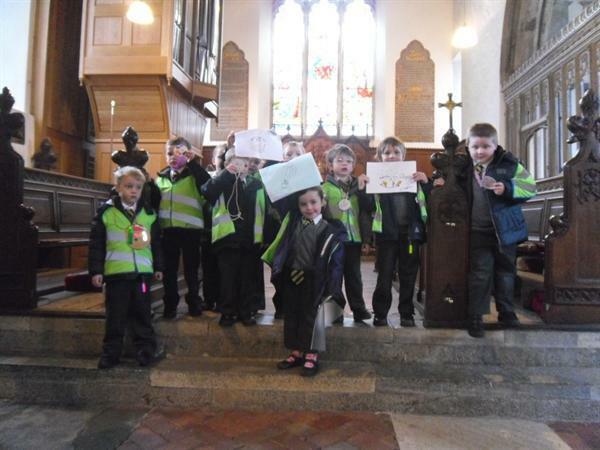 We had a brilliant day on Friday when all the classes gathered in the church for a very special assembly. 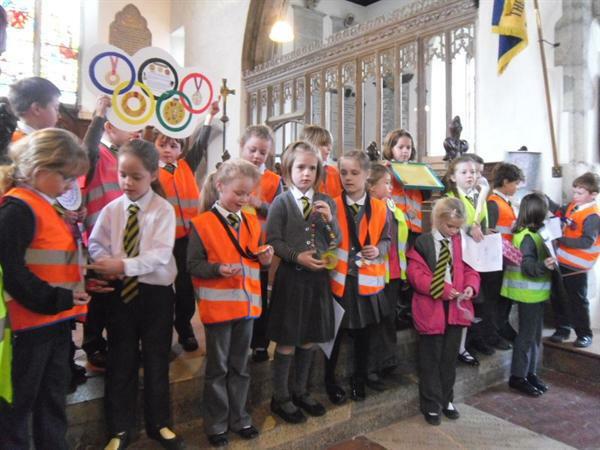 Our creative homework over the half term was to create olympic medals in preparation for London 2012. There were so many original ideas - some big, some small; some detailed and complex, others simple and stylish; lots made of paper and card, and a couple made of lead! 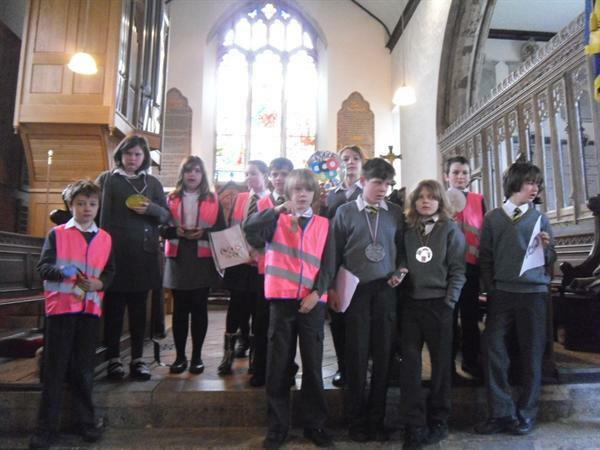 Each class stood in front of the rest of the school and had a couple of brave volunteers talk about where they got their idea from and how they made it. 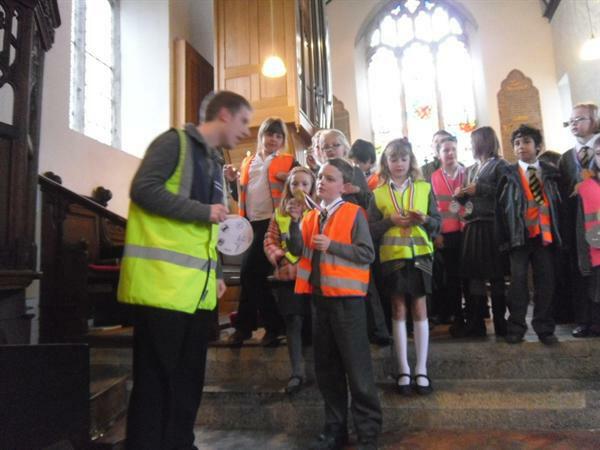 They then paraded the church aisles emblazoned with beautiful medals and big smiles for all to see. 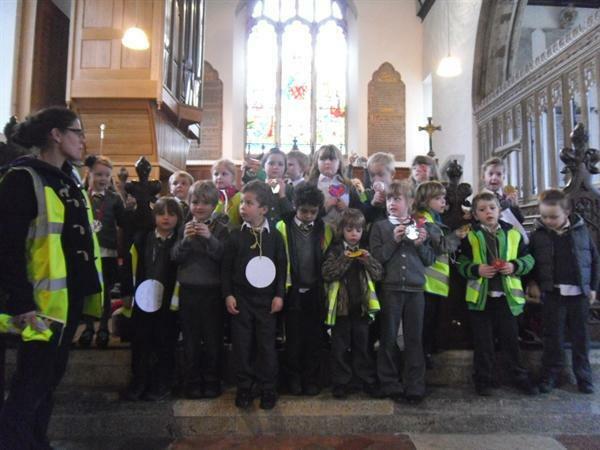 There are a few photos below of each class - we are a very, very proud staff of all our talented, creative children!